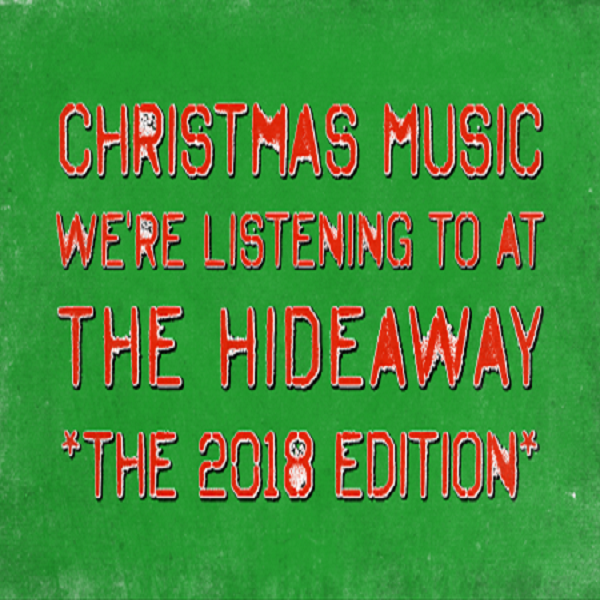 In 2017, The Hideaway featured Bear Family's Truckers, Kickers, Cowboy Angels: The Blissed-Out Birth of Country-Rock and Dim Lights, Thick Smoke & Hillbilly Music: Country & Western Hit Parade. We followed up those two magnificent sets with Sweet Soul Music earlier this year and now we are proud to offer up three Season's Greetings compilations from the label, including Have Yourself A Swingin' Little Christmas, their 2018 release. 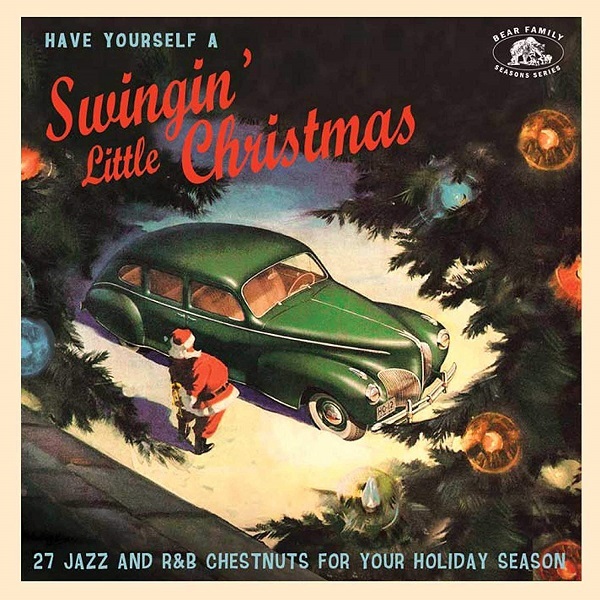 Featuring 27 Jazz and R&B Chestnuts for your Holiday Season is the disc's tagline though you may have to adjust your definitions to fully appreciate all the songs on Have Yourself A Swingin' Little Christmas. The songs were originally released between 1935-1959 and feature a hit parade lineup of stars including two hits each from Hideaway Christmas alumni Ella Fitzgerald and The Ames Brothers. Other artists with a pair of tracks on the disc are The Andrews Sisters, Lionel Hampton, Louis Armstrong & the Commanders, and The Mills Brothers. 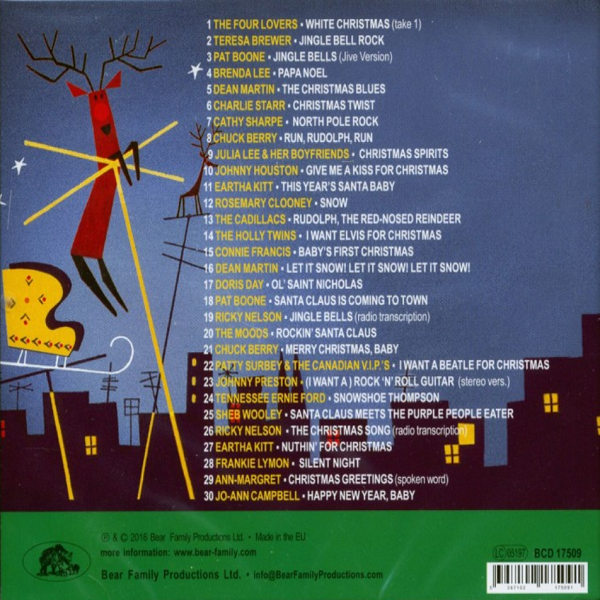 Put Have Yourself A Swingin' Little Christmas in rotation with the Christmas Cocktail discs from the Ultra-Lounge Series for a perfect Lindy Hop, Jitterbug, Boogie, Jive, and Easy Listening soundtrack this season. 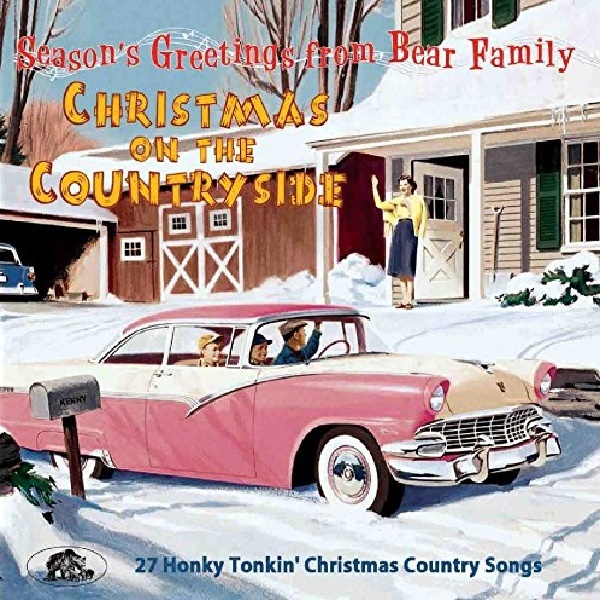 2017's Christmas On The Countryside, with 27 Honky Tonkin' Christmas Country Songs, is a slightly different beast. 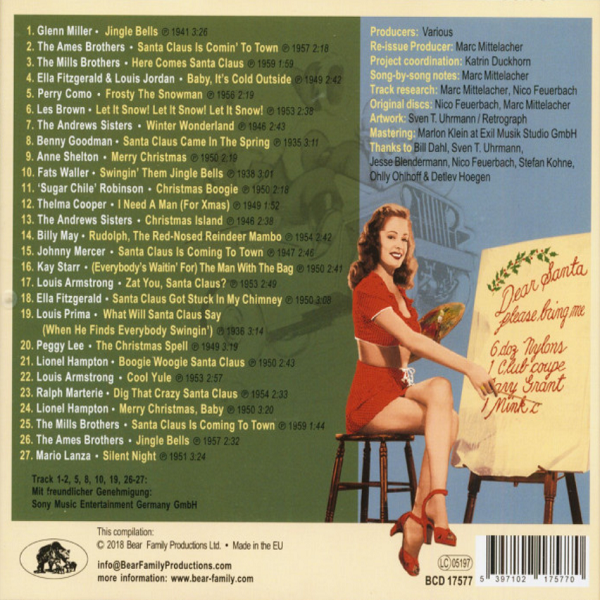 Appealing to anyone who liked any of the songs and artists on Dim Lights, Thick Smoke & Hillbilly Music, this CD features songs from 1949-1963, a mix of mono and stereo tracks. Among them are three songs apiece from Eddy Arnold and Hank Snow while Johnny Cash and Tennessee Ernie Ford each chip in a pair of tracks. 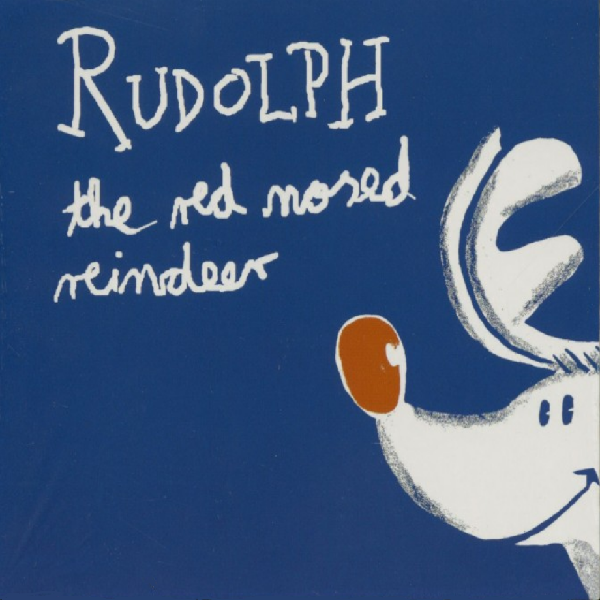 I'm gonna try to seek out more vintage country Christmas music like this before the Holiday rolls around again next year but until then I'm pairing this one with Dwight Yoakam's Come On Christmas, Elvis' Christmas Album and both of Buck Owen's and the Buckaroo's Christmas albums for a Hideaway Backporch Christmas playlist. 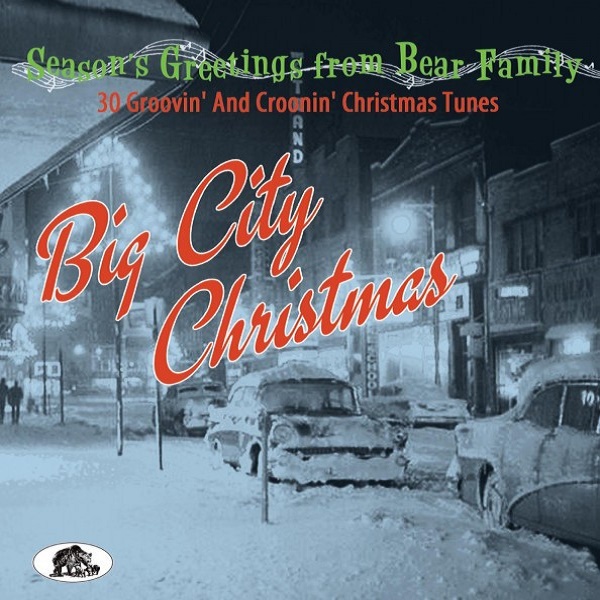 Bear Family kicked off their Christmas Season's Greetings series back in 2016 with Big City Christmas with 30 Groovin' And Croonin' Christmas Tunes from 1948-1964. The usual mix of mono and stereo tracks are here in a wonderfully warm remastering. Chuck Berry, Dean Martin, Eartha Kitt, Pat Boone, and Ricky Nelson each have two songs in the mix and Ann-Margret even offers a breathless and brief Christmas greeting. 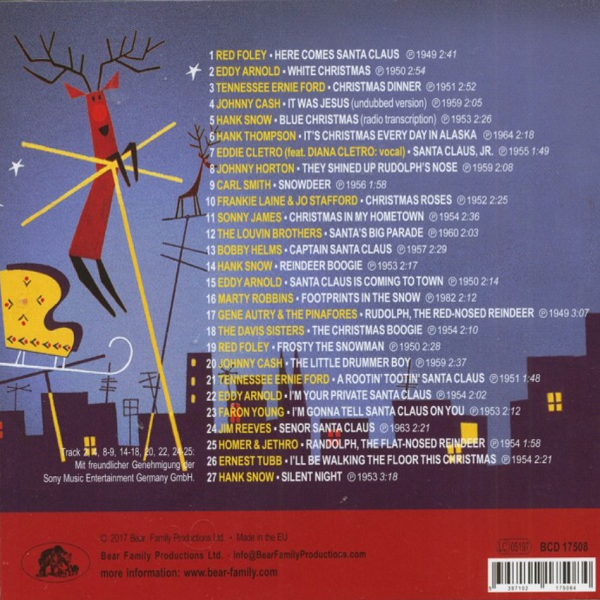 Didn't even try to set Big City Christmas up in a playlist with a few other albums, I just added it to the HUGE rolling like a snowball Christmas playlist that I add to each year and share within the family. 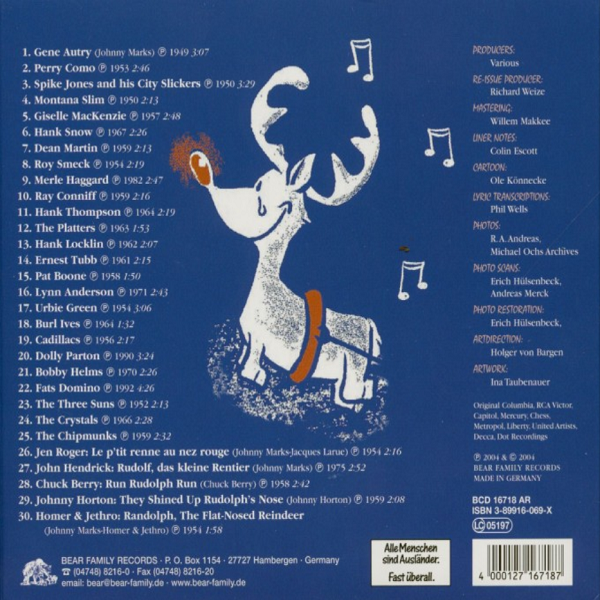 Bear Family's Rudolph The Red Nosed Reindeer, a 2004 compilation of 25 versions of "Rudolph The Red-Nosed Reindeer" plus five related bonus tracks, all spanning 1949-1992.